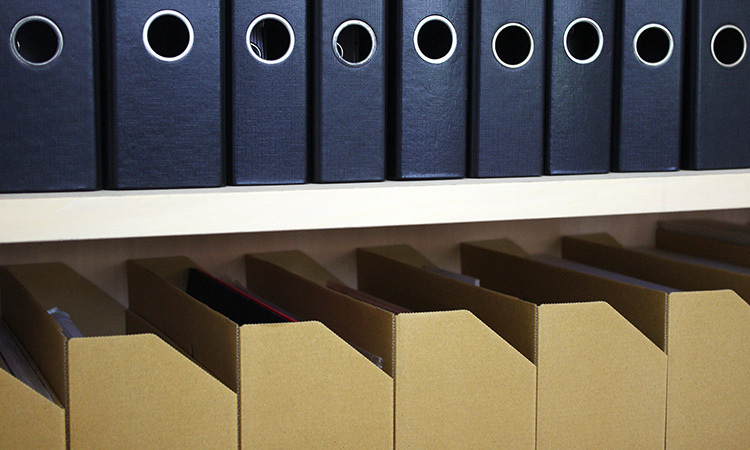 We have made an original tool to carry all those office supplies scattered around your desk. We reevaluated the connection between these two aspects from the perspective of size and function. We hope to help you rediscover a new connection between you and your desk with this tool. Various trials and errors have been piled to perfect a balance and to capture an ideal design. With paraffin wax, features called as “whitening” and “chalk-mark” (lines and crazing look) appear on the surface. 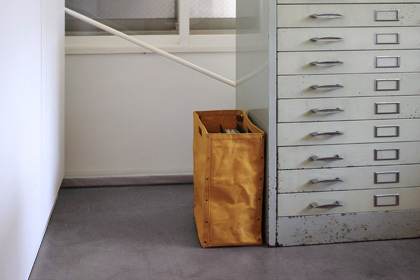 These textures bring a “tried‐and‐true” tool box look to the design. 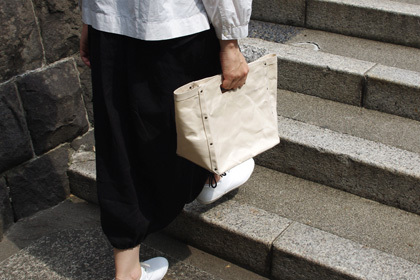 And the pattern was designed especially for the sewing method suitable for this material. 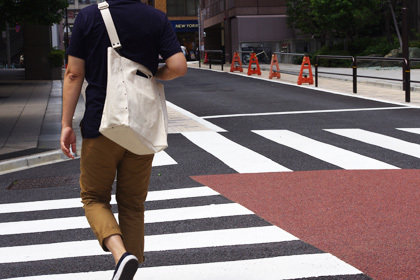 We use high-quality made in Japan canvas, which is treated with paraffin wax emulsion bath, for this product. 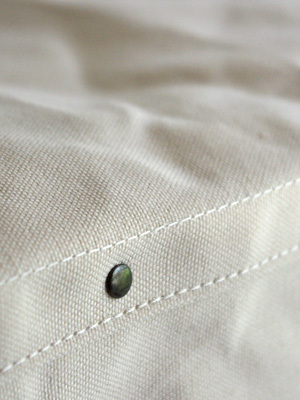 Paraffin wax provides water repellent function and adds firmness to the fabric. The more you use it, the more it softens and “break in”. 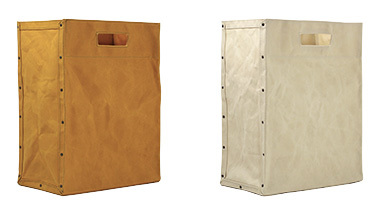 We offer you 2 bags and 3 cases that are user-friendly in various scenes. 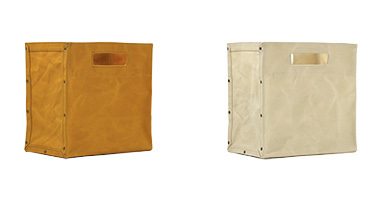 A bag you could use like file boxes and carry it around. 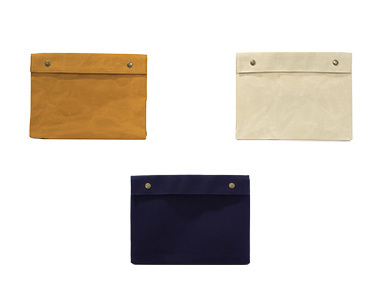 Perfectly fits A4-size files, and its wide gusset fits B5-size notebooks. The metallic studs not only add reinforcement but also accentuate its design. 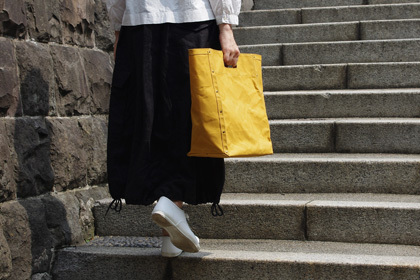 A mini-bag you could use like file boxes and carry it around. 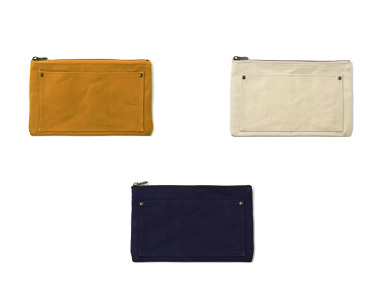 The wide gusset fits A5-size notebooks. 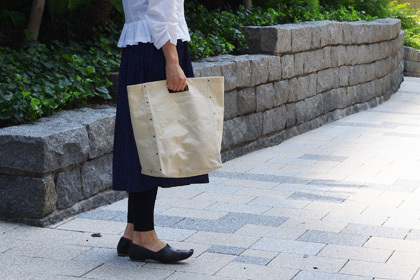 A convenient size for items such as lunch boxes. The metallic studs not only add reinforcement but also accentuate its design. 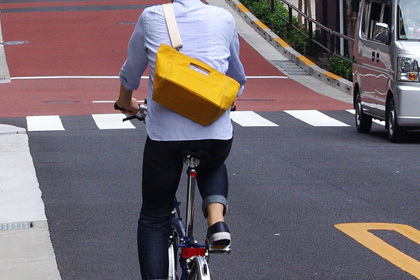 2-way, with shoulder strap. 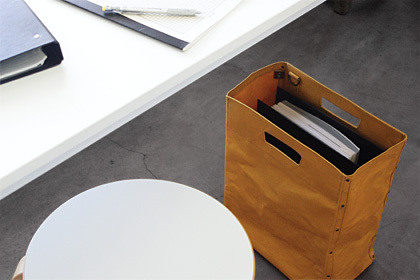 B5-size document case that does not take up much space on your desk. 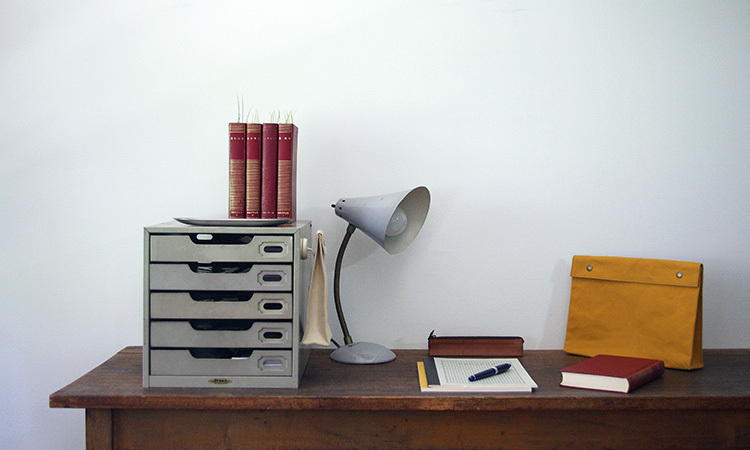 Its self-standing aspect improves the efficiency of desk space use. (Self-standing may vary depending on usage and content.) 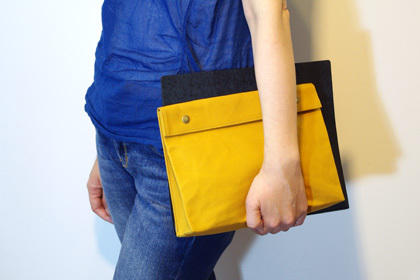 Features a notepad size exterior pocket on the back. Features a credit card size exterior pocket and a grommet hole on the back. The grommet hole can be used to hang the case. A conveniently sized multi-case focused on practicality. 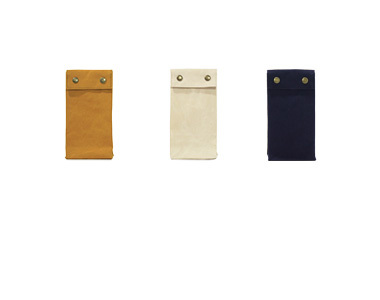 Features front exterior pocket for smart phones or notepads and 2 interior credit card size pockets.